January 18, 2018 - This tiny egg sac contains a deadly surprise—baby funnel web spiders. 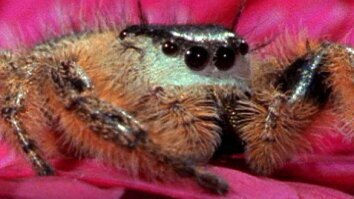 They are Australia’s most dangerous spider, extremely venomous and aggressive towards humans. But, they can be milked to create anti-venom to treat anyone unfortunate enough to receive a bite. After identification, the egg sac was brought to the Australian Reptile Park, the only facility in Australia able to extract the venom. The spiders will be kept in the park and added to the milking program. This tiny egg sac contains a deadly surprise—baby funnel web spiders. 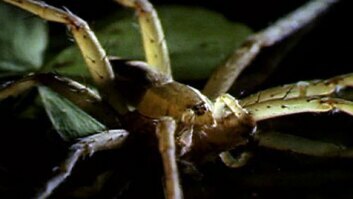 They are Australia’s most dangerous spider, extremely venomous and aggressive towards humans. But, they can be milked to create anti-venom to treat anyone unfortunate enough to receive a bite. After identification, the egg sac was brought to the Australian Reptile Park, the only facility in Australia able to extract the venom. 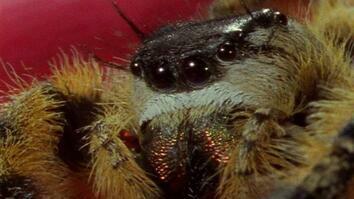 The spiders will be kept in the park and added to the milking program.